In the shadow of Ka‘ala mountain on the Wai‘anae coast of O‘ahu, a unique community project is creating a unique educational curriculum. 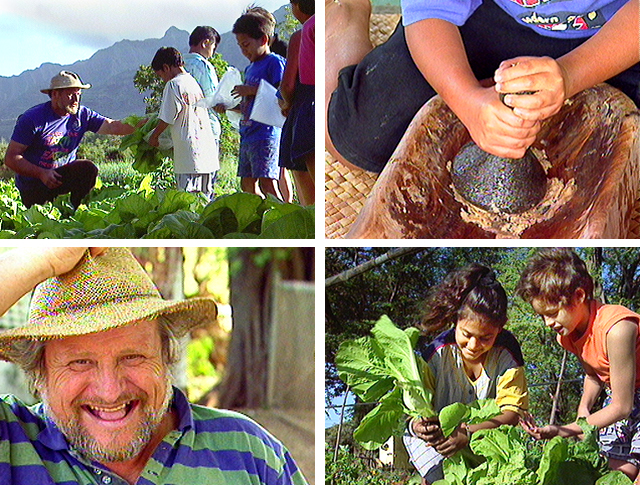 Gigi Cocquio, a native of Italy, has set up a community farm in Mākaha and works with the children of Mākaha Elementary School to discover the value of mālama ‘āina, caring for the land that feeds them. Gigi Cocquio, Kathy Danielson, Jody Kuroda, Norman Pang and the children of Mākaha Elementary School. Produced for Hoa‘āina o Mākaha.